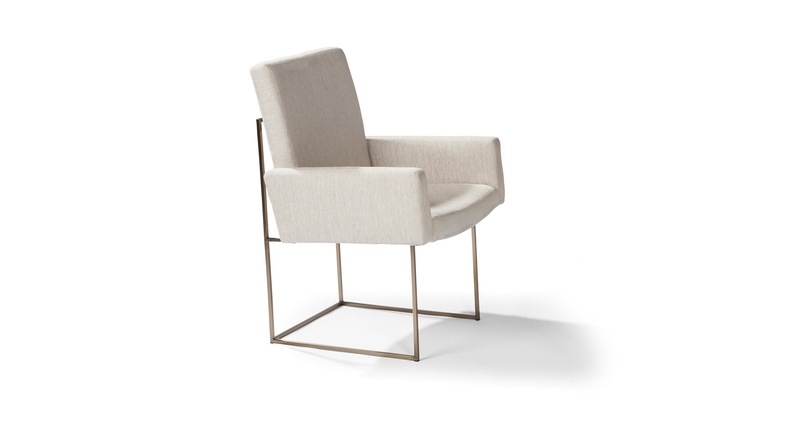 Originally designed in 1971 by Milo Baughman, this iconic modern dining chair is available either armless (No. 1187-110) or with arms (No. 1187-111). This versatile and timeless dining chair can be upholstered in any of our many fabrics or leathers as well as COM. Frame options include either brushed bronze (No. 1187-111-B) or polished stainless steel finish (No. 1187-111).